I love everything Family!! I am sure you have guessed this with the many posts I have written which include something about family. I have worked quite a bit on my own family history ……an amazing journey that I feel is a gift for my children. I want them to know they are here because of the prayers, beliefs and hard work of those who preceded them in the family. My daughter can proudly name 5 generations of grandmothers!! I am very fortunate because my maternal grandmother kept and shared a lot of family history which we have today. I even have the daily diary of my Great Great Aunt circa 1900…..a true treasure and window into what life was like during those days….very hard!! I encourage everyone to do some family research and/or documentation. It is not only for yourself but also for the children of your family. If you are wondering “where do I begin” ? I suggest right where you are. Begin with your immediate family, your parents and grandparents. Fill out the family tree with all that you know – it will be more than you realize!! Then begin the Sankofa journey……. ask for the information that is missing from other family members….siblings of your parents and grandparents, their children and spouses. This can be done at family gatherings ( even if it is not an “official” family reunion) …..bring the tree with you and connect with others and their families. Click on the image below for your own family tree to fill out!! October is the month designated to celebrate the rich history of people of African descent in The United Kingdom. At Kiarablu we celebrate this rich history all year long. I would like to offer a few of our afrocentric designs. These are created to offer our fantastic customers the opportunity to express their love and respect for the beautiful continent of AFRICA! Enjoy and please let us know your favorites ! February is the month we have designated to celebrate the rich history of people of African descent in United States. At Kiarablu we celebrate this rich history all year long. I would like to offer a few of our afrocentric designs. These are created to offer our fantastic customers the opportunity to express their love and respect for the beautiful continent of AFRICA! Enjoy and please let us know your favorites ! With the arrival of June and the beautiful warm weather my mind turns to thoughts of FREEDOM. 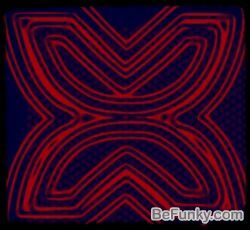 The Adinkra symbol Fawohodie represents independence, emancipation and FREEDOM. Here in the US we of course have our national celebration of FREEDOM on July 4th — but for me, the count down to Juneteenth (June 19th) initiates thoughts of what FREEDOM means in this country! As African-Americans I think we are caught between a deep sense of patriotism for our country and the terrible truth of our ancestors shackled existence. Many of our Brothers and Sisters have stood and fought for our country’s FREEDOM throughout the history of this great nation! On the other hand we know that FREEDOM has not always been ours as a people in this country….we know the sacrifice that our ancestors gave to lay the foundation for this great nation! Adding a Juneteenth celebration to the mix has given me the balance I sought for many years! It has offered me the opportunity to recognize the struggle of my ancestors. To acknowledge what a GREAT DAY it must have been for them to hear that word– FREEDOM! Imagine the Mothers and Fathers that learned their children would grow up as FREEmen and women! Although June 19th is not the date all former slaves were freed, it is when the last group was officially given this amazing news…..it was a day of completion! AMEN! 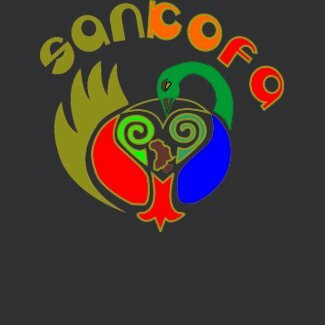 Sankofa – what is your family history? I am Soooooo sorry for getting this to you late! I had unanticipated technical difficulties with getting this up! What I have worked to put up is a template for YOUR family tree! 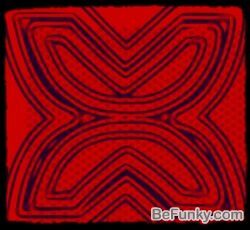 This will allow You to put the powerful concept of the Adinkra symbol Sankofa into practice right now!! Go Back and Claim what has been left behind! Download this tree and fill it in …..then work to find the names that go in any blank spaces! Call the senior members of your family to learn more about Grandparents, Great Aunts and Uncles and more! 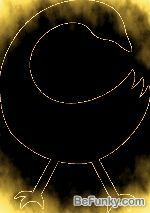 Sankofa means Return and Fetch it! I would also like to remind you of my offer ……. 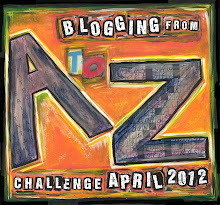 for anyone who joins this blog! Please continue to strive to go back and fetch your BEAUTIFUL past! Those who cannot remember their past are doomed to repeat it! Black history is not just about memorizing facts and dates about others it is a GREAT time to learn more about your own family! Take some time this month to talk to older family members..ask them about their childhood, their parents, what pictures do they have?? Have them retell stories that you have heard before…you may be surprised at a new piece of family history that comes out. Recently I learned that my Great Grandfather was alive when my Grandfather passed on ( before I was even born). I just assumed he had passed on too. It was only when I asked my Aunt what was the year of her Grandfathers death that I learned it was much later than I could have guessed! I had an exciting time several years ago tracking a cousin of my Grandfathers ……all I knew is that her name was Laurastein and she lived in Philly…..but I found her on the census! What a thrill to look at the census and see your grandfathers cousin and find other family members. So as you can see I am a card carrying member of Ancestry.com! 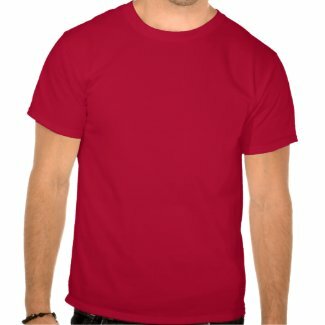 I would like to offer a gift to you! Become a registered member of Adinkra Love and I will give you a FREE Census lookup on the 1900, 1910 or 1920 census! That will be my Sankofa Gift to you! Look for another nice gift for everyone on Fri! This month is a great time to rededicate yourself to learning something new about your history! I try to find a black history fact, historical figure or event that I don’t know much about and learn more…..become an expert on the topic. With the web at our disposal we can do so much more now! I just learned about the new Civil Rights Center and Museum in Greensboro, North Carolina! This museum is dedicated to educating the public about the lunch counter sitin that occurred in this city February 1st 1960 and the brave young North Carolina A&T students that conducted it! This year marks the 50th Anniversary of this historical event. Be sure to stop by the site and check out the wonderful historic pictures!! I hope to visit the museum in a couple of weeks…teach my children about the struggle that occured which allows them to have the “freedom” they enjoy! The International Civil Rights Center and Museum is open Tue thru Saturday from 10am to 5pm and Sunday 1pm to 5pm. It would be great to get a nice size group together to visit! I will be sure to share pictures when we go! Ok, now it is your turn…..Sankofa……what will you find?